While the obvious benefit of robotic technology is to automate business processes, there are an abundance of opportunities for robotic technology to improve the lives of humans without engaging in automation. 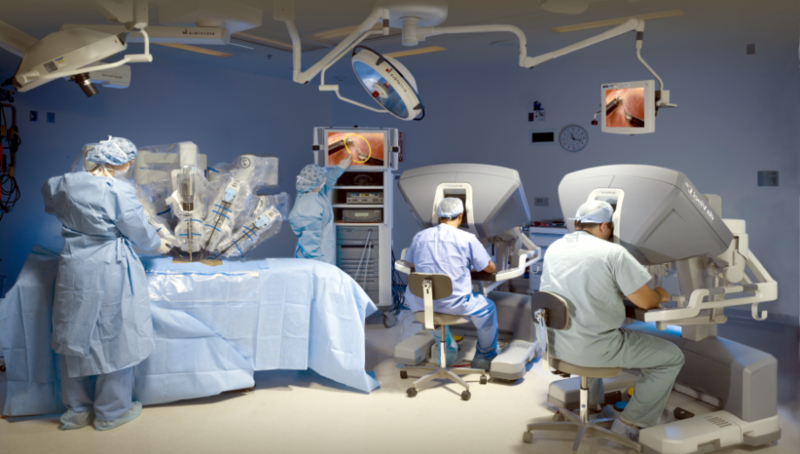 This list represents a few notable vendors in surgical robotics, yet the field is made up of many vendors and is continuing to grow as companies come up with new and innovative ways to leverage robotics in the operating room. Another example of robotic technology that extends the skills and capabilities of humans, rather than automates processes, is powered exoskeletons. Exoskeletons have multiple uses from helping injured people walk to enabling people to lift heavy weight with little effort in a warehouse. From a healthcare perspective, there are several vendors with exoskeletons on the market today that are helping people with mobility related ailments to improve their ability to walk, move, and rehabilitate an injury. 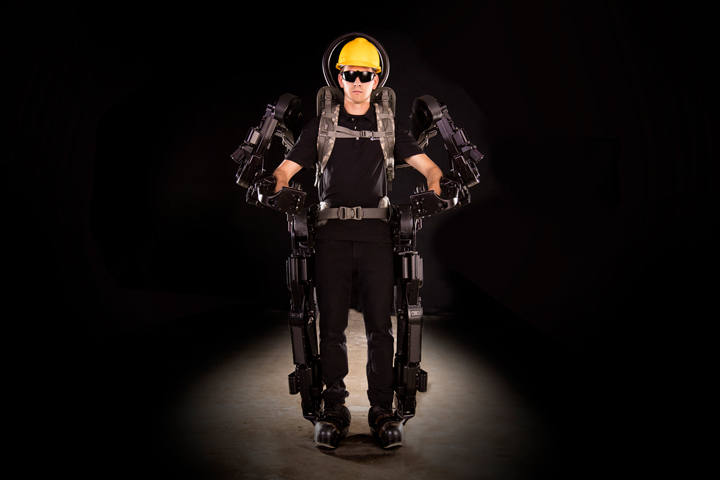 Companies with medical related exoskeleton suits include: Cyberdyne, Ekso Bionics, Rewalk Bionics, and Rex Bionics. Each of these companies, as well as several others, manufactures exoskeleton technology designed to enable mobility and rehabilitation. While several companies have exoskeleton suits currently available in the market, Sarcos has decided to engage with industry to improve the development of its Guardian XO suits to ensure that they meet the requirements of their target market. At the time of this writing, Sarcos is targeting a late 2019 release of its exoskeleton suits. The IFR noted that in 2016 there were over 6000 exoskeleton suits shipped worldwide. Clearly an emerging market, but having seen multiple examples of current state exoskeleton suits at industry conferences lately as well as seeing the buzz around the technology at these conferences (including IREX in Tokyo and Hannover Messe in Germany) it is apparent that the technology is viewed as having the potential add significant value by augmenting human performance in the workplace. Telepresence Robots - these are mobile robots that allow a person to have a physical presence from a remote location. Audi is using the VGo telepresence robots from Vecna Technologies to improve their service department. For example, if a service technician in the United States is having trouble with an issue, they can link up with a service specialist in Germany who will follow them to the vehicle and be able to see the issue to help diagnose and solve the problem. Remote operated inspection - Inspection of things like pipelines and holding tanks can be time consuming, challenging, and dangerous. Robots are helping to improve inspection processes by enabling a human to direct the navigation of a robotic device, equipped with various sensors, to reduce the time, complexity, and risk associated with such inspections. The Sarcos Guardian S is such a device that can be equipped with various sensors, complete with high definition vision systems and the (optional) ability to actually climb metal structures. Emergency Services - Emergency response is as dangerous an occupation as they come. Robots are being built to allow people to remotely respond to issues in nuclear power plants, dispose of bombs, engage in search and rescue, and even provide visibility into inaccessible areas for situational awareness. The T7 by Harris Corporation allows emergency responders, and military personnel, to handle and dispose of explosive devices and help in hazardous material clean up without putting their health and safety at risk. While the obvious benefit of robotic technology is to automate business processes, there are an abundance of opportunities for robotic technology to improve the lives of humans without engaging in automation. The systems described in this blog represent a few of the uses of robotic technology that require a human to physically operate the device. Robotic technology continues to improve resulting in new and innovative ways in which robotics is improving business processes and helping to improve human performance and safety. So, the next time you think about robots, consider the role of the technology beyond automation.